Sophos recently made available a free antivirus application for Macintosh users. Haven’t tried it yet, but it looks promising and it fills a glaring gap. For all you Mac users out there who think that “Macs don’t get viruses” – please wake up and smell the capuccino. 2010: IBM hands out infected USB sticks in a security conference. 2010: Dell ships replacement server motherboards containing a Windows worm. 2010: Olympus ships camera with infected memory card. 2010: Samsung ships smart phones with infected memory card. 2008: Samsung ships infected digital photo frames. 2007: Apple ships iPods with the Troj/Bdoor-DIJ malware. 2007: TomTom ships malware-infected GPS SatNavs. UPDATE 17 June 2012: See attrition.org’s Certified Pre-Owned for a more extensive list. One would hope that nowadays we know better than to put up with restrictions on our thoughts, talks and writings. They say you can see the true nature of people in a time of crisis. All sorts of organisations, from media outlets to governments, consist of people. So, what has the publication of low-secrecy US diplomatic cables taught us? An Australian citizen is denied bail in the UK, because of a misdemeanor charge in Sweden. The charge, if proven to stand, would amount to a crime on the same level with *graffiti*. (jurisdiction? innocent until proven guilty? Habeas corpus? Parts of the US government are blocking access to newspaper websites. Others are ordering or threatening their own personnel and university students not to read the leaked diplomatic cables. “News contributors” on (predictably) FOX news (and politicians) are going on the record on national television, stating that Julian Assange should be assassinated. If this is what gets shamelessly thrown out in the open, can you imagine what’s going on behind closed doors? As part of a scheme called “access to justice”, prison authorities are arranging for Assange to be given a computer so he can work on his case. The computer will have limited internet access. Assange asked for one of his legal team to be allowed to bring him a laptop, but was refused – prisoners are not commonly allowed their own computers. “Access to Justice” sounds like “we’ll be happy to know all your passwords & contacts” to me. I’m sure Mr. Assange is smart & informed enough to know this, but other prisoners might not. Anything you type on the keyboard will be known by the adversary, even if they’ve never touched your laptop. Anything on your screen can be “seen” by the adversary from the adjacent room. 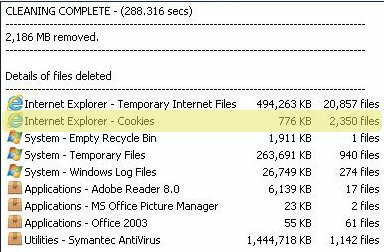 You better not leave the laptop from your sight, because if you do, you might as well assume it has a keyboard logger installed next time you touch it. Bit of a pickle, really. 7. 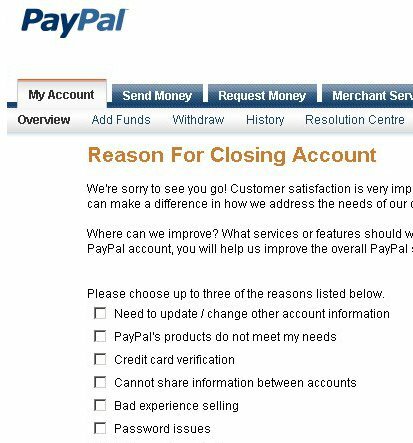 If you feel like giving PayPal feedback as to why you’re closing your account, you can do so in this page. Scroll down to the bottom of the page to find the “Continue” button. 10. Finally, PayPal is kind enough to do what you asked it to do 7 clicks ago. Congratulations! 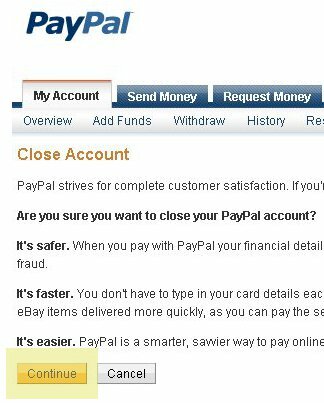 Note: If the above steps stop working (because PayPal reorganise their website or changes some buttons) you should be able to find instructions by clicking “Help” in the PayPal website and then searching for “close account”. 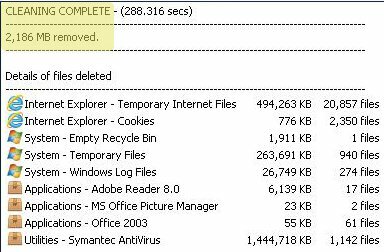 This is not a thorough clean – there is a lot more junk and privacy-compromising stuff on this machine, but a CCleaner run is a dead-easy first step. The arms race between online criminals and people trying to protect you from them is in full swing. But seeing that well-respected security researchers are desperate enough to suggest using bootable Linux systems for online banking is quite scary. Yes, there is no other way of defending against a large class of attacks. No, real people should never have to go through this ordeal to not be ripped off. If conducting secure online transactions has come to require such levels of effort and sophistication on behalf of end users, it’s a dangerous cancer for the dream of online commerce which must be recognised and addressed. Criminals have an easier task than defenders, as security is only as good as its weakest link. Regardless, we can and must do better than this – dumping the cost on end users must stop. Cablegate: Boy, the last time there was a leak like this, Noah built himself a boat. Whenever I talk to people about the need to be careful (vigilant?) 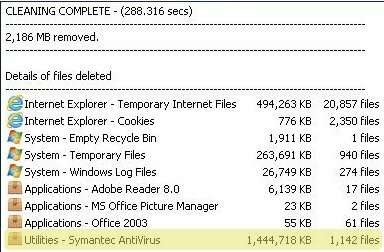 online, run antivirus software, install updates, use secure browsers/plugins etc I get invariably told I’m being paranoid. Thankfully there are people like Peter Gutmann around to eloquently lay out the playing field and to show people that “If you have a pulse, you’re a target”. Hopefully, this material will also make people care that their computers, Hotmail accounts and broadband connections are being used by criminals to make millions. This is how crooks make millions out of our complacency. Perhaps it’s time to start caring about computer security and keeping what’s ours, ours. UPDATE 31/01/11: A more succinct online tutorial by Sophos on “How cybercriminals steal your money“.